I’m so excited about my new Ninja! It has made making my smoothies so much easier! With the Ninja I no longer need to chop everything small in order to blend, and it doesn’t leave my smoothie all frothy. I’ve wanted a better quality blender for a while now, but didn’t want to spend the money. 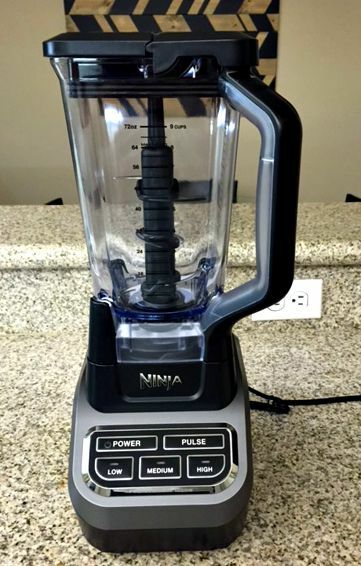 I’m so glad I gave in and bought the Ninja because it honestly does make better smoothies compared to my old cheap blender. Erik is now on board with drinking green smoothies daily! 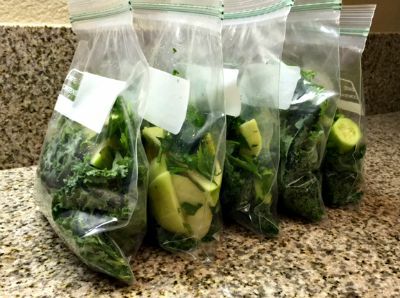 I’ve been doing “smoothie bag prep” which really helps us be consistent with them since all we have to do is grab a bag, throw it into the blender, add the liquid and blend it up. I highly recommend doing this smoothie prep to help you stick with it and make your morning routine faster. On Sunday night I cut all the ingredients, separated them and put everything into a bag for the week. You can either store them in the refrigerator or in the freezer. If stored in the freezer, no need to thaw it out in the morning. Throw it into the blender and you’ll have a colder version! 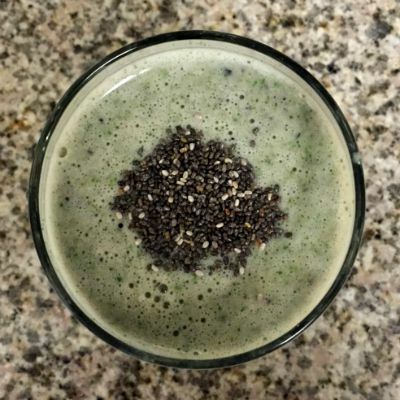 Put everything into the blender and blend to your desired consistency. What’s your go-to breakfast for busy mornings? 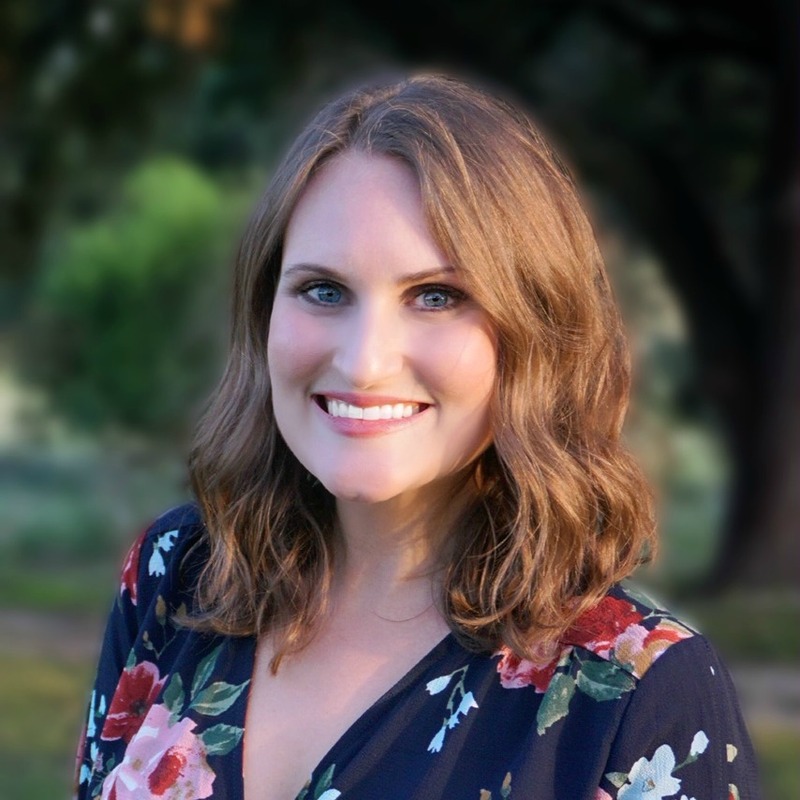 This entry was posted in Products, Recipes/Dining Out and tagged green smoothie, health, ninja blender, products.